help you to improve your game. Official host venue to the PING Junior Solheim Cup in September. A challenging and creative course, golfers will enjoy views over mature undulating parkland. They will be intrigued by 14 demanding water features with 9 lakes and The Knightsbrook River incorporated into the course. A contemporary Clubhouse including luxurious locker rooms, full bar and catering facilities and fully stocked golf shop will complete the offering. 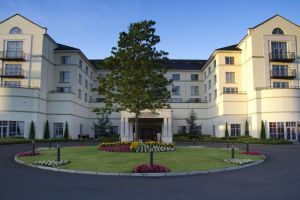 Casual green fee players, society & corporate groups and charity golf classics are welcome everyday to experience the excellent facilities at Knightsbrook Hotel & Golf Resort. 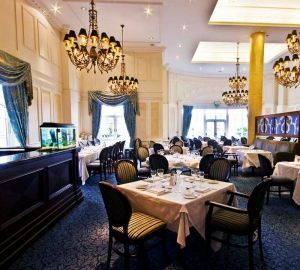 The Knightsbrook Hotel is contemporary in design with all the facilities of an ultra modern hotel while retaining a traditional atmosphere and timeless elegance. 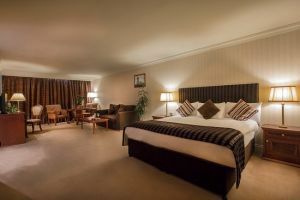 The new Hotel will make a perfect weekend retreat for the golf enthusiast and will also offer a complete package for event organisers with Conferencing, Health Club & Spa and Golf Course all onsite. Greyhound & Horse Racing at Navan & Fairyhouse. 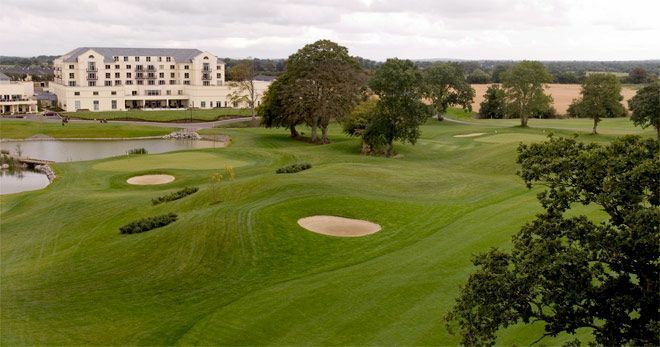 One Night Bed & Breakfast and a round of golf on our 18 hole Christy O' Connor Jnr Championship course. 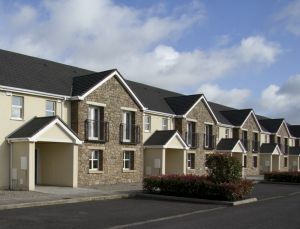 John Cusack’s name has become synonymous with the development of Trim into a thriving town. 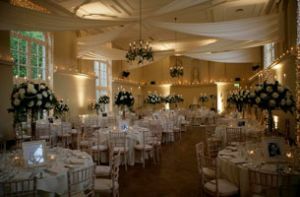 His vision for this development is epitomised by the “jewel in the crown,” Knightsbrook Hotel , Spa and Golf Club Resort. His relationship with Christy O’Connor Jnr ensured that the golf course would be one of the finest in the country. This has been borne out by the consistent ratings in the top fifty golf courses of Knightsbrook Golf Club. Christy O’Connor credits John Cusack’s trust in him as a course designer, as the single most important factor in ensuring that the final product would be a top class course. “He gave me free rein to develop the course to the highest standards,” O’Connor told a large gathering at the first John Cusack Memorial Pro-Am in 2008. Former President of Knightsbrook, Oliver Perkins, was closely associated with the project from conception to completion and recalls how in March 2006 he accepted the invitation of John Cusack to become the first Captain on Knightsbrook Men’s Golf Club. “John felt that my experience of being Captain in the Heath Golf Club would bring needed experience to the new club with mainly members who were new to the running of the game. Mrs. Fionnuala O’Byrne was chosen to be Captain of the Ladies Golf Club. Mr. Gerald Reilly was appointed first President of the Club”. One of the first tasks was, to become affiliated to the G.U.I. with a new Constitution. This was achieved the with the expertise of Gavin Hunt, Director of Golf. The next task was the setting up of a Men’s Golf Club Committee to run the Men’s Club for 2006 and 2007. The new committee consisted of Gerald Reilly, Oliver Perkins, Thomas Renehan, Rory Dowling, Des Keegan, Steve Scully, Brian Heffernan, Jonathan Cusack, Eddie Canty and James Canty. This championship course was designed by Christy O’Connor and was officially opened on the 6th May 2006. The designer was given total freedom by John Cusack and no money was spared. Meath County Council was also very cooperative. Former President, Oliver Perkins remembers that the “the location of the third and fourth holes was occupied by the proposed Trim Outer Relief Road and needed a material revision of the County Plan to move the road. After Christy O’Connor persuaded the County Council that this land was a must for a Championship Course, the council members decided to amend the statutory plan and relocated the road. Thus, the third and fourth holes exist”. Mr. Perkins was nominated as our first Captain in 2006 and continued in that role until the first A.G.M. in December 2007 at which Mr. Des Keegan was elected Captain for 2008. Following Des, Steven Scully was Captain in 2009, Liam McMenamin in 2010. In 2011, Jonathan Cusack, son of the founder, as Captain for 2011. The late John Cusack would have been very proud to see his only son in this position especially during the hosting of the Junior Solheim Cup in September 2011. Liam McMenamin became President in 2012 and Seán Ó Díomasaigh took over as Captain in January 2012 with Frank Leonard as Vice Captain. Since its inception, Knightsbrook Golf Club’s membership has grown exponentially to its present level, with new members joining every year. Regular club competitions are played and major club competition days attract a large number of members. The club also takes part in a number of inter-club competitions each year. A significant numbers of new members joined Knightsbrook Golf Club in 2012 and there is a substantial number of enquiries about membership for 2013. The land on which Knightsbrook Golf Course is built consists substantially of the farm of the Reilly family, which also has a strong tradition in the Trim area over many years. Indeed the magnificent family home stands a proud landmark on the course and serves as a reminder of the vibrant farm which was cultivated over the years by the Reilly family. Gerald Reilly, a local councillor for many years and a member of the original family still lives in the beautifully restored period house. Gerald served as the first President of Knightsbrook Golf Club. The devoted golfer is an anguished soul who has learned a lot about putting, just as an avalanche victim has learned a lot about snow.